Today, we are very happy to announce something we’ve been working on behind the scenes at ProPakistani: our very own Plan Finder! It was born out of a need for a central resource for anyone who needs information about the various SMS, Voice and Data packages offered by telcos in Pakistan. With dual SIM phones being commonplace and telcos announcing new offers everyday, it has become hard to keep track of details like how to subscribe to packages and what they offer. With ProPakistani Plan Finder, regardless of which operator you use, you can find the perfect text, call or internet package. If you’re the market for a new provider, you can even use it to compare packages and decide which one offers the best value for money! You can sort packages by price, on-net minutes, off-net minutes, SMS or number of MBs. We’ve focused on making the interface as intuitive as possible but if you have any feedback, do let us know in the comments below. It’s a work in progress and we’ll be adding to it with time. We’ve got a lot more lined up and this is not the only feature we’ll be revealing this month so stay tuned! Warid operator is missing in the network drop down menu, Pakistan has more than 20 millions warid subscriber, Please consider adding support and info of that operator as well. 1 – its not 20 million :-) 2 – All mobilink packages are now same as Warid’s. 3 – Warid is coming soon. 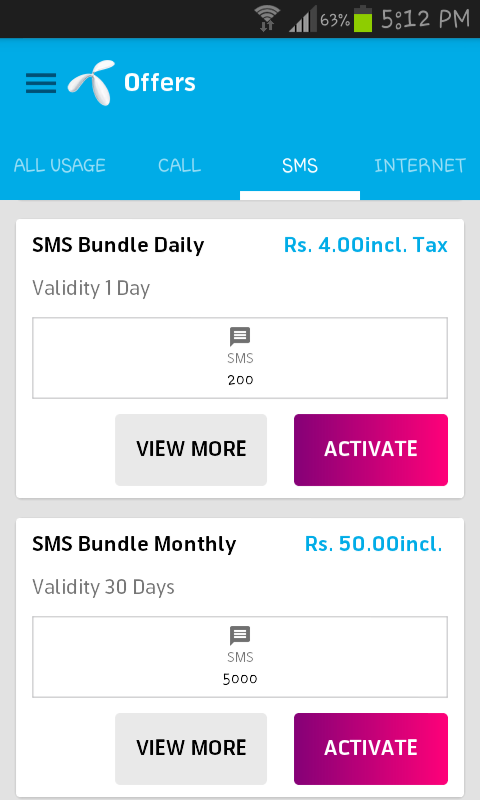 Please add packages for Postpaid users as well. Thank you. Good work! Please update and add Postpaid packages as well! Congratulations, it was a much need feature. The controls on page 1 look good but the filters are weak and there is no way to compare or sort the packages. You can sort packages for various parameters. Great idea. But needs improvements and revisions. 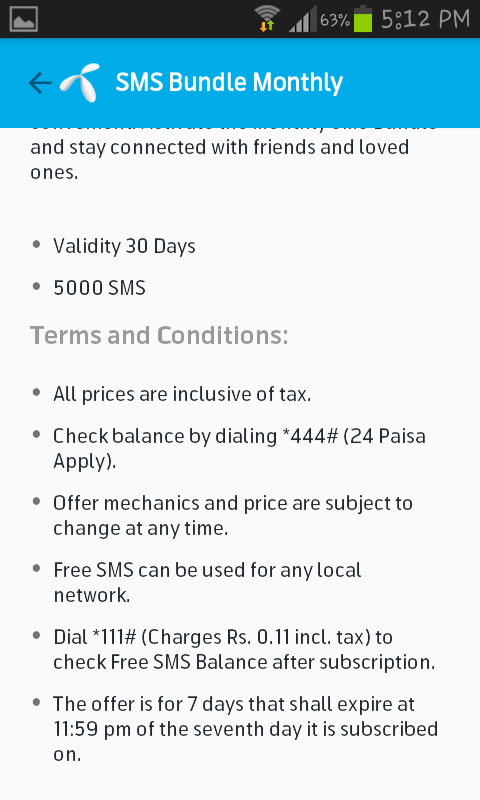 I use this SMS Package of Telenor TalkShawk which is not listed in your Plan finder. You can add this package details too. Thanks. Is this listed on their website? Aamir bhai it is not present on their website right now. However, it is visible in the official Telenor Android Application. I have noticed that they keep on changing the number of packages displaying on their website and only display selective packages and hide the other ones. One reason may be to promote less popular packages. 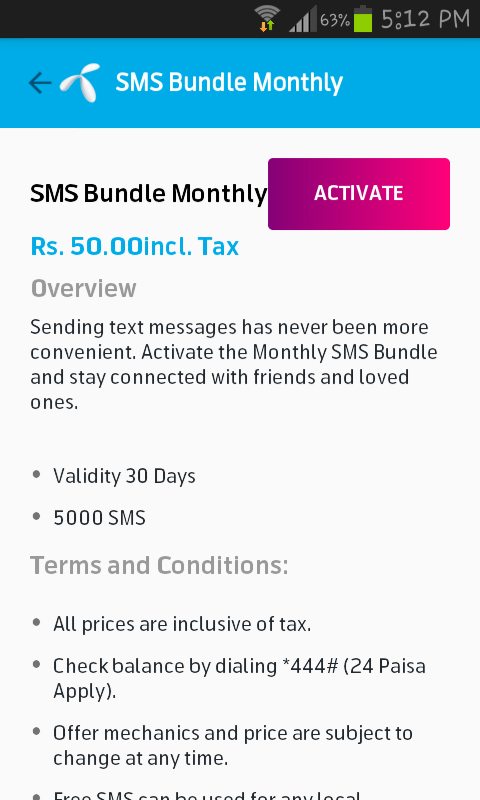 Here are the screenshots of this package taken from the official Telenor Android Application. We will keep an eye on such hidden packages as well. Thanks for sharing. Great work guys. A small improvement can be made on mobile version. When using the slider to select the price range it is quite hard to select the price you want. There can be a text field to type the range in. @aamir7:disqus Pls remove decimal portion of Price Slider, e.g 100 instead of 100.00 because it jumbles up the values when sliding it below 300 rs value…. Thanks. Awesome work. Looking forward to see comparison feature between packages in terms of price, duration, data/minutes they give against money.